Cooper River Park runs along both sides of the Cooper River for five miles between the City of Camden and the Borough of Haddonfield. Commissioned by the Camden County Park Commission in 1925, the park was the first in southern New Jersey to encompass design principles of the City Beautiful movement. It incorporates the Georgian-style Ebenezer Hopkins House, built in 1735, into a design scheme of winding roads, footbridges, dams, and masonry features. In addition, the park commission built several recreational elements during the 1930s via the Works Progress Administration and Civilian Conservation Corps, two massive New Deal agencies: a model yacht basin, a tennis clubhouse, and a two mile rowing course. Like many county and municipal parks this one has suffered at the hands of budget cuts, and some of it has fallen into disrepair. Camden County is currently implementing a Vision Plan, which contemplates building a sculpture garden and renovating the Hopkins House to accommodate events such as festivals and weddings. 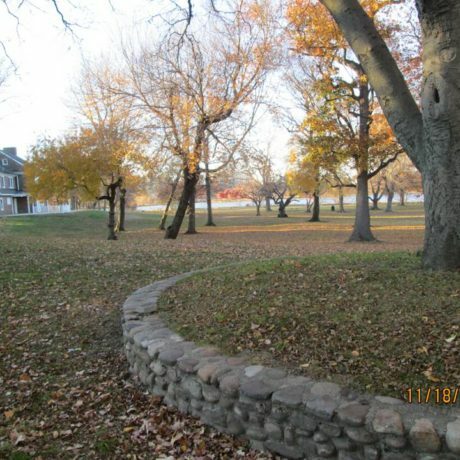 The county objects to listing the park as a historic district on the New Jersey or National Register of Historic Places, claiming it will create needless obstacles to improving the park. PNJ applauds the county’s commitment to spend an estimated $23 million in the Cooper Lake area. But without any state review of the projects, we fear alterations or renovations may be undertaken that will adversely affect the historical integrity of park features. We urge the county to bring the Cooper River Park Historic District to the Historic Sites Review Board. Listing on the National Register of Historic Places, which would require the county to work with the New Jersey Historic Preservation Office, will help preserve the character of Cooper River Park. It can also be used as a selling point for marketing to local citizens, corporate sponsors, and tourists who look for historical authenticity.